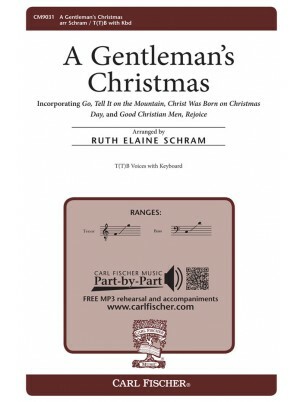 A perfect medley for the gents of the choir, this set presents Go Tell It on the Mountain, Christ Was born on Christmas Day and Good Christian Men, Rejoice with a nicely laid-back, 12/8 feel that will be very easy on the ears. This is a great selection for a Holiday program. Though mostly in two parts, there is a brief tenor divisi at the end.